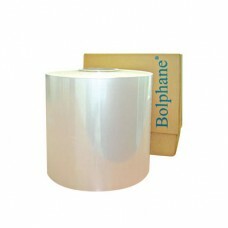 Shrink Wrap is a clear plastic film that is not stretchy. It is typically used to professionally package items, giving them a tamper proof and protective barrier. Shrink Wrapping is covered loosely around a product or load and it shrinks tightly when heat is applied. Yellowbox.com, is a supplier of Shrink Wrap Machines as well as other packaging-related products like Stretch Film and Stretch Wrapping Machine.